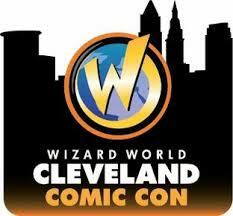 CLEVELAND, February 2017 – Wizard World, Inc. (OTCBB: WIZD) continues its 2017 schedule with its third trip to the Huntington Convention Center of Cleveland at Wizard World Comic Con Cleveland, March 17-19. Gene Simmons (Lead Singer, KISS, "Gene Simmons Family Jewels"), Michael C. Hall ("Dexter," "Six Feet Under"), Millie Bobby Brown ("Stranger Things"), Jennifer Carpenter ("Dexter," "The Exorcism of Emily Rose") and Loren Lester and Kevin Conroy of "Batman: The Animated Series" headline the roster of celebrity guests scheduled to attend the comic con and pop culture extravaganza. Additionally, Wizard World will host SocialCon (www.socialcon.com) in Cleveland on Saturday, March 18, with major social influencers to be announced. SocialCon will feature meet-and-greets, live performances, Q&A panels, autographs, photo ops and more.